Fires2u.com has become one of the largest UK companies that has developed an online fire and fire surround warehouse service selling low priced Gas fires, Electric fires, stoves and fireplaces and delivering direct to customer’s doors in England, Wales and Scotland. Vesta Stoves is a UK based family business that design, manufacture and install woodburning stoves nationwide. We believe our range of wood burning stoves provide an affordable, modern and contemporary looking heating solution to your home. The full range of Vesta multifuel and wood burning stoves are hand built using a mix of traditional techniques and modern equipment. We manufacture specifically designed double sided stoves that make a stunning centrepiece for your home. Vesta stoves are also leading the way with a range of direct air intake stoves. Senso Fireplaces offers high quality Marble, Limestone, Roman Stone, Travertine & Quartz Fireplaces. 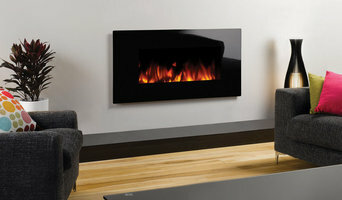 As well as Gas & Electric Fires and Logs burners and Multi fuel stoves. 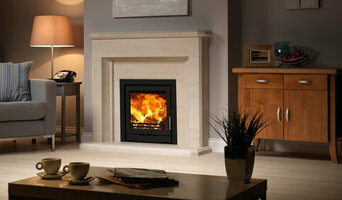 Company Established in 1984 selling and installing Multi fuel stoves, Gas Fires, Electric fires and fireplaces. All our installers are Gas Safe Registered and HETAS Registered. 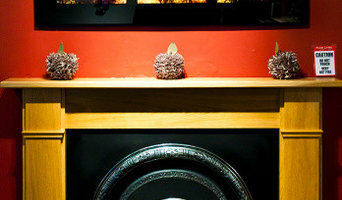 Phoenix Fireplaces is situated on picturesque Lark Lane in South Liverpool's Sefton Park. At Phoenix you will find friendly, knowledgeable staff offering choice, quality and service worth traveling for. We specialise in original cast iron and timber fireplaces including Original Victorian, Marble, Slate & Stone Surrounds. We individually manufacture fire surrounds in pine, oak & mahogany at our in house workshops. The Penman Collection presents a clearly distinctive range of Fireplaces, Stoves and Accessories that combines a heavy investment in design with quality materials and expert craftsmanship. 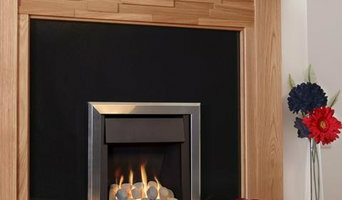 Vesta fire surrounds is a small family run company based in Southport Lancashire. They have built an enviable reputation for supplying quality hand made fireplaces and bespoke furniture, all designed and built in their own workshops. There is a dedicated on-site showroom that displays a small selection of their work. The showroom also has a range of cast iron inserts, marble fireplaces, wood burning stoves, gas and electric fires by leading brands. Some fuels burn more efficiently than others in certain conditions. But it is also about the ambience that different fireplaces and stoves can create. If your chimney is functioning and the flue is in good working order then you might prefer a traditional wood-burning stove, log-burning stove or Victorian fireplace for your period property or cottage. Combined with a marble or stone fire surround, the latter will add a rarified sense of grandeur to any dining room or lounge, but it does take a while to get going. Ventilation is also an important consideration, as is practicality. You’ll be clearing away ash on a regular basis. First thing’s first though: check with your Liverpool, Merseyside authority to see if you live in a Smoke Control Area – fireplace installation specialists in Liverpool, Merseyside may also know this. Compact freestanding stoves, either multi-fuel, gas, oil or electric, have become very popular in recent years as homeowners try to rekindle the open-fire romance of yesteryear. But if efficiency, lower energy bills and fuss-free heating are more important, a gas fire scores highly, particularly the flueless gas fire variety, which draws waste gases out through a duct. You will also have much better control of the temperature. That said, the gold standard of sustainable heating and performance is the bioethanol fireplace – smoke-free, odourless and not a speck of ash to be seen. Meanwhile, fans of sleek and minimal design will melt away at the sight of a hole in the wall gas fire. These preserve valuable floor space, will comfortably heat a small living room and come in a variety of beguiling forms – a fire ribbon row of flames, a fire bowl or fire basket with pebbles. It’s like magic. Ask your fireplace installation expert in Liverpool, Merseyside or local showroom to show you all of the different types so you can clearly see the difference. When considering your options, talk with your fireplace installation specialist in Liverpool, Merseyside about the size of area you wish to heat, the current sources of heat (such as central heating), potential heat loss (through windows, for example) and degree of insulation. If your home is modern or well insulated it probably makes sense to choose a fireplace, fire or stove that works efficiently on a low setting to avoid over heating! 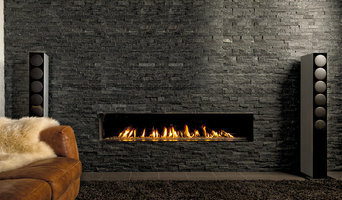 Where can I find the best fireplaces, specialist fireplace showrooms and fireplace installation in Liverpool, Merseyside? Search on Houzz for Liverpool fireplace experts and showrooms in the Find a Pro category and then start collecting your favourite images in an Ideabook. Contact your preferred company for a free consultation in their showroom or at home. Many will be able to offer a comprehensive service, from consultation and bespoke design to installation and aftercare. Don’t run straight to the cheapest. Build up your knowledge and balance price with quality of design and service. Search for fireplace showrooms and specialists that offer fireplace installation in Liverpool, Merseyside on Houzz and see past projects, photos and reviews in order to find the best fireplace and professional.